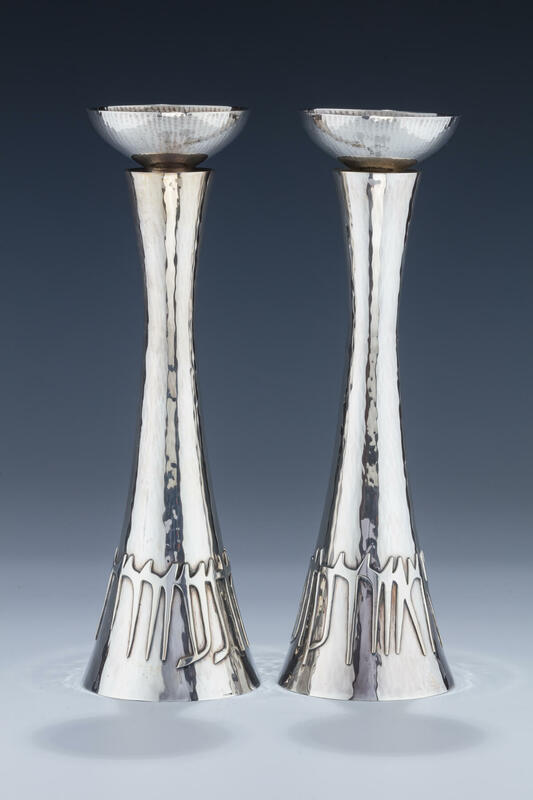 A PAIR OF STERLING SILVER CANDLESTICKS BY LUDWIG WOLPERT. Portugal, c. 1970. Hand hammered with tapering bodies. With applied appropriate Hebrew epithets. 10.9” tall.